Request your Focus Discount Card NOW! 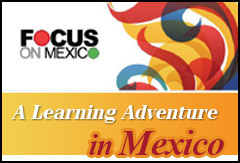 Check out this Focus Discounts page to see all the Member Advantages for Focus Alunni. A few discounts are listed below; for instance, a 10% discount on appliances at Tio Sam’s, 15% off computer work at Benno’s, and many more. You can use your Focus on Mexico membership cards for discounts to many local Lakeside businesses…businesses that we know and trust. Focus Discount Card – includes discounts for meat, restaurants, furniture, appliances, locks, computer services, physio, optical, fumigation, chiropractic, paint, dentistry, medical lab, pharmacy, etc. Services, like maids, gardeners, dog sitters, painters, decorators, doctors, dentists, restaurants, etc. What are the labor laws? Do you need to enroll them in IMSS Health and Pension? Who can drive your vehicle and who can’t? The Alumni section will continue to grow as we add more and more content to further enhance your new life on the lakeside. We’ll invite Alumni to share your stories with us. If you drive to Mexico with pets you can identify the route you took and the hotels you found that would (or would not) take pets. By inviting Alumni to participate, we’ll be able to cover a lot more and add additional value for all to benefit from and enjoy. You’ll have the opportunity to join the invite list for Focus monthly luncheons to link you immediately to a network of Focus Alumni; a great way to make instant friends and find like-minded people. You’ll have access to all our recommended Expert speakers from the Focus program, from doctors, lawyers, immigration specialists, banking, investing and more. We personally use all our speakers services so can vouch for their credibility and expertise. The 6-Day Fast-Track-to-Learning format condenses the previous 8-Day format at a reduced cost. We wanted to let Focus Alumni know that you are still eligible to come back and sit in on the education Seminars again for Free for up to 5 years after attending. With the new format, we offer optional A-la-Carte services which Focus Alumni also have access to, whether coming back to sit in on the Seminars, coming for a visit or living here. Quality Affordable Health Care is the # 1 concern for most of our clients. 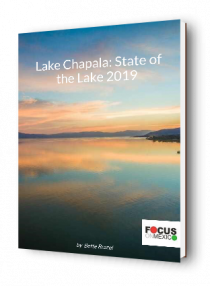 As a result of recent issues arising with the national health care options in Mexico, Focus set out to find a quality and affordable health care plan. With great fortune we found Best Doctors and WEA and immediately put together Focus / Best Doctors Health Care and WEA Group Plans for our clients. Featuring world-wide coverage, English speaking, 2nd opinion from top 5% medical specialists in the world, and affordable annual premiums. These are plans to definitely check out. Becoming a Focus Alumni just gets better and better!